We made monster dolls in the spring now we are making monster ornaments! 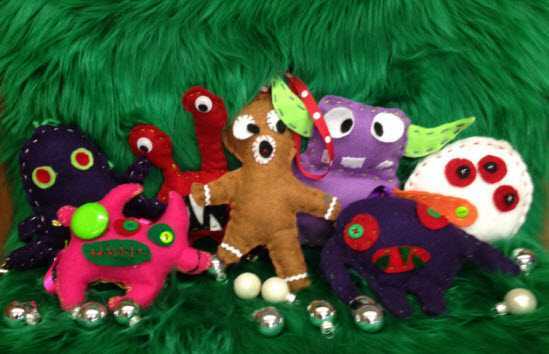 This is a fun class where you will make your ornament out of felt and add wiggly eyes, faux fur, holiday jingle bells and a ribbon to hang them! This class just requires you to do a simple running stitch. I have all the supplies needed to create your ornament but if you have your own items you want to use bring them in.This class is for adults and requires registration.